It’s called Person Re-Identification Technology. The system utilizes image analysis and deep learning to identify a person by their body shape. According to NEC, the system was able to reach accuracy rates of up to 90% during testing. Security cameras equipped with basic facial recognition often have issues identifying a person in a crowd or if a face is obstructed in any way. 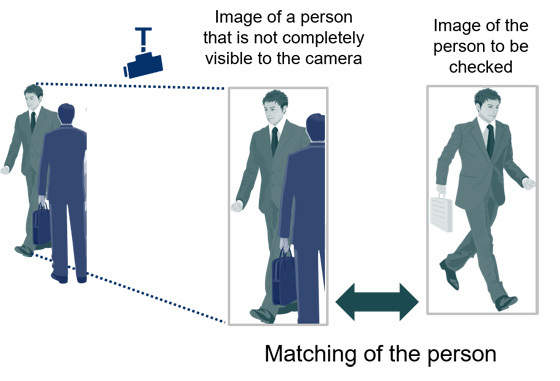 Because Person Re-identification also analyzes body shape, it can make identifications even if there are objects or other people in the way. This could make it easier to identify people who are covered or if they are moving through large crowds. The system just requires an initial picture of the person which it analyzes from head to toe. It can detect people from multiple camera angles whether it be from the front, side and even behind. Because it analyzes a person’s whole appearance along with factoring in clothing, it’s possible to make identification even if the face can’t be seen at all. NEC feels this technology could be useful in places that often have large crowds like airports or train stations. It can also be effective in areas that have a visual obstruction where cameras can’t get a clear shot of a person’s face. Of course, anything involving facial or body recognition raises privacy concerns. Do we really want or need our movement tracked at all times? While tech like this is impressive, how reliable is it? Could it lead to false identifications? Our faces are pretty unique but body shapes can be quite similar. Check out our articles on AI identifying you by the way you walk and drones that protect your home.